These clear step-by-step examples will give the adventurous beginner confidence and will offer new insight to the experienced smith. Lots of good photos to help you on your way. 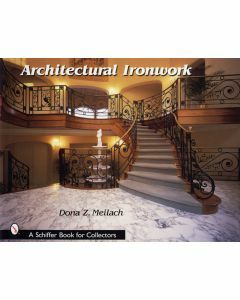 Architectural Ironwork Meilach, Dona Z. 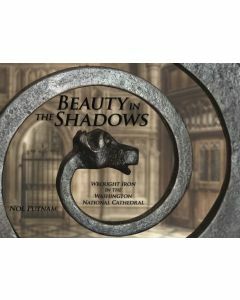 Architectural Ironwork presents over 375 spectacular examples from more that 100 of today's top blacksmiths. Focusing on the renaissance in artistic blacksmithing Meilach presents a vast array of ironwork recently commissioned for contemporary, commercial, and residential buildings, as people become more aware of the versatility of iron today. Architectural Ironwork showcases over 375 spectacular examples of work from more that 100 of today's top blacksmiths, supplemented with historical works from 15 countries. Enjoy the exciting Art Nouveau used in balconies, gates and doorways throughout the streets of cities in Austria and Hungary, 500 vivid photos show the many, varied interpretations of Art Nouveau forms used in balustrades and balconies, lanterns and gates, doorways, elevator door fa ades, and more. 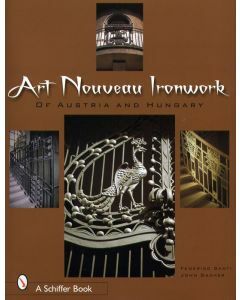 This book will inspire many to make new travel plans and will delight everyone with a passion for beautiful decorative ironwork. THE ART OF TRADITIONAL BLACKSMITHING; A Norwegian Perspective, is a masterpiece that joins tradition with wisdom and creativity. 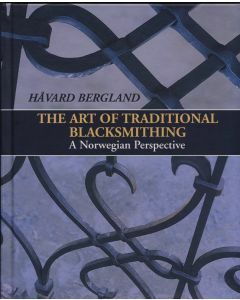 It presents Håvard Bergland's overview of the blacksmithing trade as a whole. Bergland systematically documents the blacksmithing trade by gathering and presenting skills, techniques and ideas that he has tried out in the forge himself. 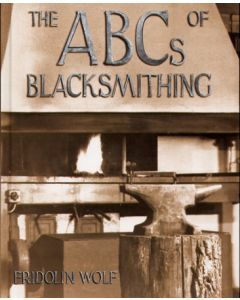 The book is largely self-explainatory and offers advice, ideas and inspiration to anyone who wants to be involved in blacksmithing. It is throughly illustrated with more than 400 color photos and nearly 700 drawings. 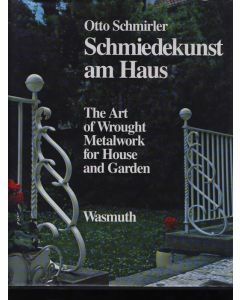 The Art of Wrought Metalwork for House and Garden displays ironwork for buildings, past and present. Wrought ironwork on a building has the double function of protection and ornamentation, and here both functions will be emphasized. In selecting drawings and photographs for this book it is assumed that the reader has already learned the ABCs of forging iron, and possesses this basic knowledge. Many details, however, are provided that can help both the qualified wrought-iron craftsman and someone who wishes to begin learning the trade. These beautiful photographs also provide the architecht and potential home owner with ideas for the newest project. 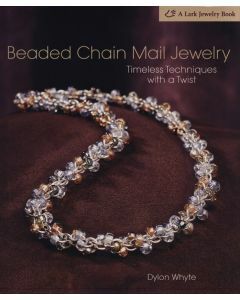 Chain mail jewelry is lovely in and of itself, but when you add beautiful beads, it becomes spectacular. Learn the fundamentials, and innovative technique for threading the beads onto chain mail, and eight weave patterns, ranging fromtime-honored classics to new originals. Try you hand at 27 pretty projects, from simple to challenging. These pieces are trye showstoppers. AND – for those, who live far away and only contemplate a visit to the National Cathedral, this book can serve as the econmical traveler's substitute for such a trip. It might even whet their appetite for the real thing. This book is the result of ten years of workshops, demonstrations and master classes. The idea of the title for 'The Blacksmith's Cookbook' was to give credit to blacksmith's wives, especially my own. There is a similarity between forges and kitchens, basic equiptment, basic tools and the often exquisite results. A large part of my success is due to the devoted help of my wife, and I am sure this applies to many other smiths. F.W.